My thanks to the incredibly talented Canary Beck for taking my cover photo and turning into the best-looking cover any of my novels have ever had. Just take a look at it. Seriously. That's one of my books, that is. 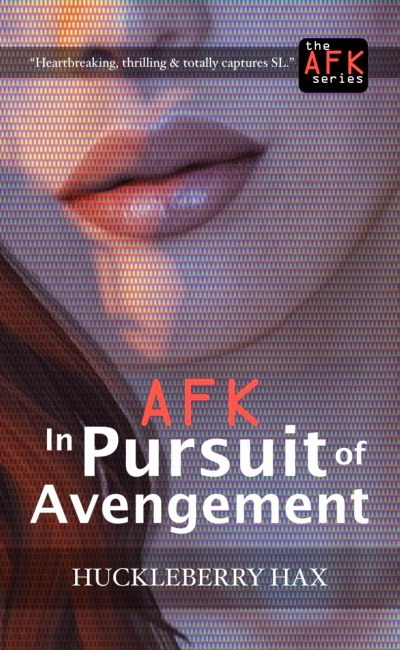 AFK, in pursuit of Avengement is the fourth novel in the AFK series (and my tenth writing as Huck) and picks up the action from the unexpected ending at the end of book 3, AFK, Indefinitely. The novel will launch in a couple of weeks in print and Kindle formats, with an ePub edition following soon after. 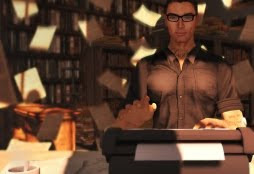 There will be an inworld launch event, the details of which will be posted here soon. If you haven't read books 1 to 3, the first novel, AFK can be read here - and is a free Kindle download at Amazon.